An Army veteran aiming to bring down veteran suicide said there is too much stigma and not enough education around veterans with post-traumatic stress disorder. LITTLE ROCK, Ark. (KTHV) – An Army veteran aiming to bring down veteran suicide said there is too much stigma and not enough education around veterans with post-traumatic stress disorder. Army veteran Mikel Brooks knows the realities of PTSD. He struggled with it for years. "A lot of times you look for isolation. I had isolation problems, drug addiction,” Brooks said. After overcoming it, he decided to help other veterans who are unable to get help. "There's a lot of misconceptions about it in the public because of movies. Veterans with PTSD are portrayed as crazy or violent,” he said. 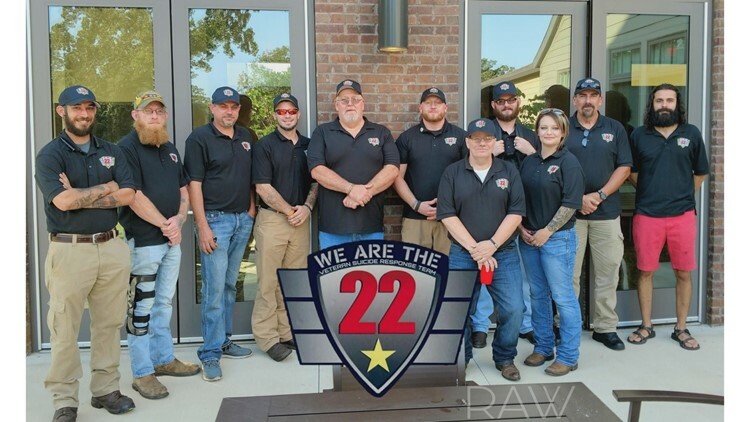 His organization “We Are The 22” aims to combat veteran suicide, and raises awareness around veteran mental health. "People who have PTSD aren't crazy, they have simply suffered from something so traumatic it has altered their reality,” Brooks said. Brooks said he believes the Thousand Oaks, California shooter Ian Long was motivated by something else. Long killed 12 people and himself on Nov. 8 when he walked into a bar and opened gunfire. Reports show Long was a 28-year-old veteran who may have struggled with PTSD. Brooks said this could negatively impact add to the stigma surrounding PTSD. He said hundreds of thousands of veterans have it and never kill innocent people. “If that veteran reached out for help, help should’ve been provided,” Brooks said. But he says it is still important to not ignore warnings signs in veterans. "One of the problems is a lot of the veterans don't know how to reach out to the VA and get help, or they do and have a bad experience,” Brooks said. Brooks said the Arkansas VA does a great job getting veterans mental help. "Here in North Little Rock, the VA is partnering with us to try to do more outreach in the community. They're able to reach out to the community in a way they haven't been able to before,” Brooks said. However, nationwide, he thinks there's more to be done to help these veterans who are suffering. "There is hope for PTSD. But you have to be proactive in your care. You have to take the steps and recognizing yourself that you have PTSD. Take those first steps getting into the VA and getting some help,” Brooks said. If you or a veteran you know is struggling with PTSD or thoughts of suicide you can call the Veterans Crisis Line at 1-800-273-8255 or you can call Mikel Brooks at (479)-276-6567.